Creative spaces are community arts organisations that provide support and opportunities to make art for people with limited opportunities to do so. They are places of sharing, learning, support and creative expression, where people can experience fulfillment, a sense of achievement and self-esteem. An estimated 6,700 people attend creative spaces every week in communities throughout New Zealand. Some spaces are part of community daycare programmes, hospitals or training centres but most are community-based and operate as independent trusts. 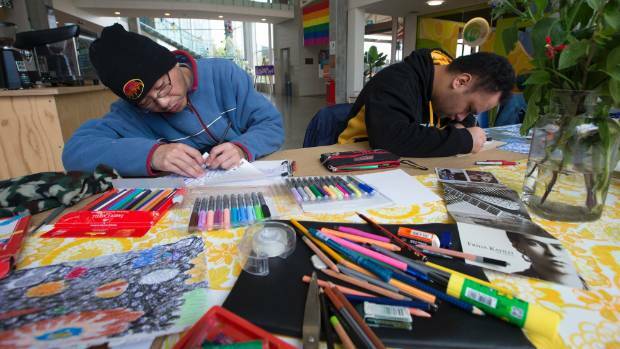 Creative spaces are a recognised part of the social service scene in New Zealand. Many of them are for the exclusive use of mental health users, people with intellectual or physical disabilities, disadvantaged refugee and migrant groups, or young people. Others are open to a cross-section of the community, including people who are unemployed, in the justice system, or who have drug and alcohol addictions. Some creative spaces encourage an informal drop-in approach to both attendance and participation while others prefer a structured approach, which includes programmes and workshops in writing, the visual arts and performing arts. Almost all of the creative spaces employ artists and arts tutors to run projects and provide individual tuition. Every week, an estimated 210 professionally trained arts tutors and about 400 health and support workers are employed to deliver programmes. The cost of running a creative space varies but some budgets are more than $200,000 a year. Their income comes from various sources such as District Health Boards, hospitals, community and philanthropic trusts, the Ministry of Social Development, local government, donations and fundraising. Increasingly, there are galleries attached to the creative spaces to market the artwork and promote the artists. The first structured creative space was opened in 1985, thanks to the vision of the Rev Helen Walch, then Director of the Inner City Ministry in Wellington, and community worker Pam Whittington. 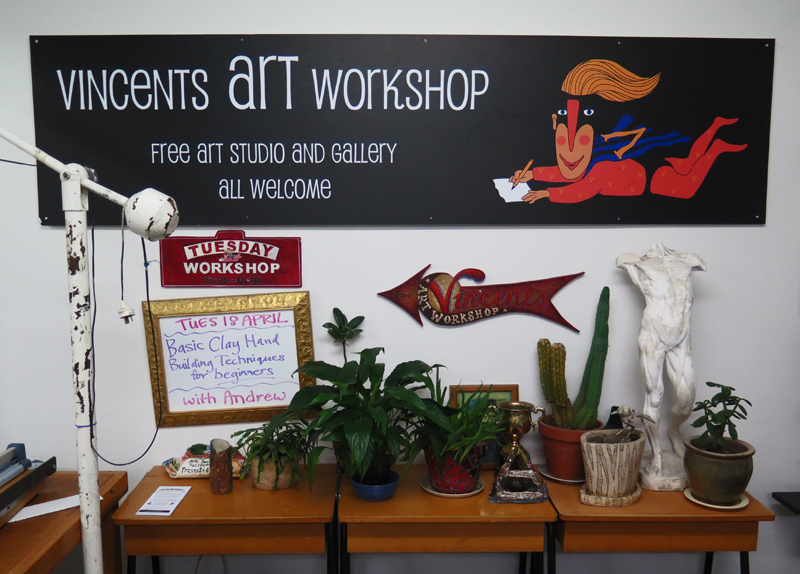 Vincents Art Workshop, based in the central city, had an open-door policy for people with experience of mental ill-health and other people wanting access to the arts. This policy continues today with anyone able to attend and explore their creativity at Vincents. And then in 1986, the Creative Expression unit was set up at Cherry Farm Hospital, the result of pioneering work by Dr Julia Aranui-Faed, then Medical Superintendent of Cherry Farm Psychiatric Hospital in Dunedin. Later renamed Kimi Ora, it played a positive role in the lives of patients and staff by offering diverse arts activities. With the closure of Cherry Farm Hospital, Artsenta was set up in central Dunedin in 1991 to provide support for mental health consumers. The experience of these centres proved a powerful catalyst. Soon Floyds Creative Arts was set up in Christchurch. Tokanui, Kimberley and Sunnyside Hospitals all introduced more arts programmes, and community training centre began including arts activities and employing artists to run their programmes. Today, there are more than 80 creative spaces across New Zealand. 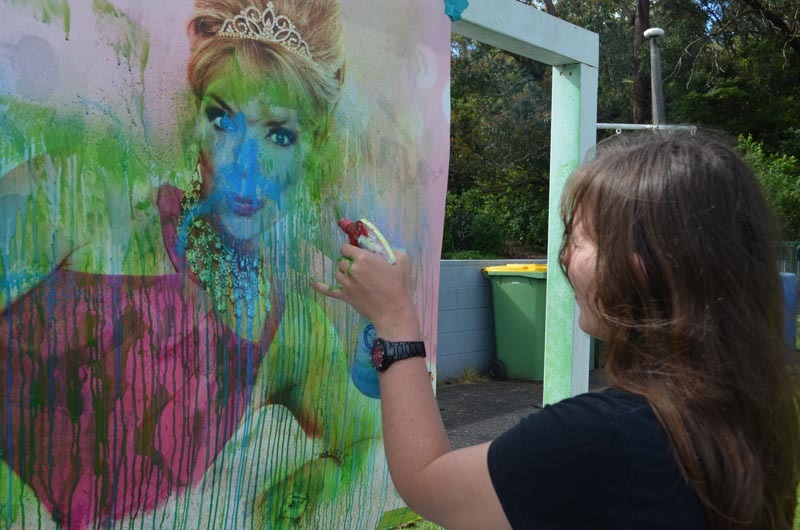 These creative spaces are key stakeholders of Arts Access Aotearoa. For more information and contact details of creative spaces around New Zealand, visit the creative spaces directory. Original generation time 1.9435 seconds. Cache Loaded in: 0.0332 seconds.